How to successfully prep for the week ahead | Dymps and Dimes. I loved my weekend - I went to the Royal Garden Hotel for afternoon tea which I totally recommend, purchased some gorgeous Gucci mules which I'll showcase later, got a lot of sleep and ate a lot of greens. I'm a weekend girl through and through - I like my job but I love sleep, freedom, peace of mind and sometimes alcohol in large quantities - weekdays can be a little restrictive. My weekdays are very busy and, sometimes, worrying about the little things like what to eat for lunch and what to wear to work can cause unnecessary stress. But, I was so determined not to spend my Sundays prepping for the week because it made Monday all the closer. But I soon realised that the benefits of prepping for your week on a Sunday outweigh the need to 'not have my Sunday doing stuff'. The more organised I was on a Sunday the less jobs I had to do in the week and the smoother my week went. #1 - I make a todo list - I do this if I need to contact or chase up companies that aren't open on weekends or Sundays. I then make all the relevant calls and send all the relevant emails on Monday morning knocking all the boring adult stuff out of the way. #2 - I meal prep - this is a lot easier than you think. A lot of healthy and tasty meals can be prepped in under 10 minutes and put in the oven. My boyfriend and I usually alternate between Fish, Chicken and Turkey Mince - we make the dishes as tasty as we possibly can so we actually look forward to eating it then dish it up in containers and store in the fridge. Instagram and Pinterest have numerous videos and pages on meal preps if you get stuck with ideas. #3 - I plan my outfits - this is probably the most time consuming but the most rewarding in terms of time saved in the week. 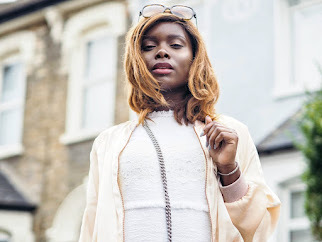 Having an overflowing wardrobe can be a blessing and a curse - on the plus side I have a lot of choice but on the minus side, I HAVE A LOT OF CHOICE. I also try to squeeze blogging prep into my weekdays which mean my outfits should be in order of what I want to showcase - STRESS! Advice I'd give for outfit planning is: check the weather, iron your choices and place them on a hanger in your wardrobe according to the days of the week (this sounds more stepford wife than I mean it to). #4 - I TRY not to be hungover on a Sunday - self explanatory, the most vital, not very easy. Prepping not only saves time but saves a lot of money - those "healthy" Pret options can burn a hole in your pocket quite quickly if you're not careful or those I have nothing to wear days can lead to unnecessary shopping.